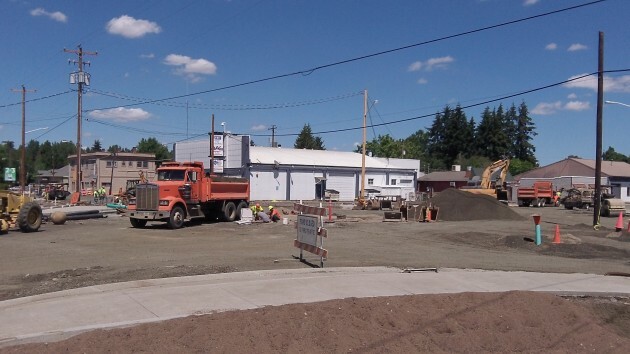 East Albany’s Main Street at Third and Salem avenues has been torn up all summer. But the end is in sight. Well, it’s about six weeks away. Businesses in the construction zone including Whitaker’s flooring, paint and wallpaper store have remained open. Getting to them has been a bit of a challenge, but signs point the way. As for the city-owned old church at the corner of Santiam and Main, plans to dispose of it have been postponed until after the road construction is finished. The city then plans to issue a request for proposals from potential buyers, who will be expected to spell out how they would restore and use the building. Whenever they do this extensive of work, I wish they would bury the power lines. That would really help clean the look of things up.